Betty Nguyen : We do want to get you back to those shocking developments in the search for Madeleine McCann, the British girl who vanished during a family vacation in Portugal. A family spokesman says the four-year-old's mom is now named a suspect. CNN's Paula Hancocks joins us now from Portimão with the latest on this case. And a lot of people waking up thinking what has happened in this search for the person who was involved in this. And now all fingers are pointing at the mother. Very interesting, Paula. Paula Hancocks : That's right, Betty. Yes, Kate McCann has been inside the police station for the past four hours this Friday. Now she was here for 11 hours for questioning on Thursday, but that was as a witness. The difference now is she is a formal suspect, according to the Portuguese police. They believe that they have enough evidence, enough forensic evidence, to be able to consider her a suspect and involved, possibly in some way, in the disappearance of her four-year-old daughter Madeleine. Now we are also expecting at some point this afternoon -- we were expecting it an hour ago -- the arrival of Gerry McCann, the husband. He also is coming in to undergo some questioning. At this point we believe he will be questioned as a witness. But certainly a surprising turnaround of events. We also know from the spokesperson for the McCann family, she was talking to us earlier, saying that part of the reason they believe that they decided to treat Kate McCann as a suspect is because they found blood in the rental car that she and Gerry McCann had rented. But, bizarrely, they had rented it 25 days after Madeleine had been declared missing. So this is what the evidence that the Portuguese police have. We're hearing nothing from them themselves. This is all coming from the family and their representatives. But at this point they believe they have enough to keep her in as a suspect. BN : OK, Paula, just so that we can clarify just a little bit in this case as these developments are coming out, the mother is a suspect now, but both the mother and the father rented this vehicle, but at this point the father has not been named a suspect. PH : That's right. It's not entirely clear whose name this vehicle was in, but certainly it was said to us by the spokesperson that it was rented by the McCann family, by the McCanns, meaning the parents. But we know that Kate McCann was here for 11 hours yesterday for this questioning as a witness. Now Gerry McCann is supposed to be on his way for his questioning as a witness as well. And at this point we have no indications. BN : All right. CNN's Paula Hancocks joining us live with the latest in this story. And, of course, we'll be following it very closely. Thank you. Tony Harris : John Corner joins us now. He is a friend to the McCanns and the godfather to their twins. John, good to talk to you. What is your reaction to the news that Kate McCann is now a suspect in the disappearance of Maddie? TH : Well, Jon, I'm trying to understand here, Kate is now an official formal suspect. You believe she had nothing to do with this disappearance? TH : So why do you think she's a suspect? And have you heard -- you certainly are aware of the new evidence that seems to be pointing, at least the authorities, in her direction? TH : You would have been surprised -- Jon, you would have been surprised if the authorities hadn't looked at the parents, wouldn't you ? TH : Well, how do you explain the apparent break-through in the case? You mentioned a break-through a moment ago. Well, there has been a break-through in the case, according to the authorities. How do you explain the blood in the rental car? A car rented more than 20 days after Maddie was reported missing? How do you explain it? JC : It defies explanation, quite frankly. I have no idea. It flies in the face of common sense. I could speculate all day about that, but..
TH : Well wait a minute, Jon. I mean this is DNA evidence. This is DNA found in a rental car that was rented by the couple 20 days -- I'm just asking you, how do you explain it? JC : It makes -- I can't explain it. It makes no sense. It makes no sense. TH : Do you or do you not..
TH : Do you not trust what the authorities are saying to you? Have you talked to Gerry or Kate about the new evidence? JC : No, I haven't. Not about new evidence. Only about the police line of questioning last night. And, quite frankly, it makes no sense to me and I can't speculate on it. You know, it just -- it makes no sense at all. TH : Complacency? How about neglect? TH : How about neglect? How about child endangerment ? TH : So as a general practice, it's OK with you, in your mind and the way you think for a three-year-old to be left to care for two- year-old twins? TH : OK. John Corner is a friend of the McCanns and, John, some tough questions to ask you, but we appreciate you stepping up to take those questions on for us. TH : Appreciate it. Thank you. (1) Jamais l'avocat des MC n'a déclaré ailleurs qu'il envisageait une garde à vue. (2) Justine McGuinness est donc très au courant de ce que va faire ou est en train de faire Kate MC (ne pas répondre aux questions). (3) Jon Corner est décidément un inovateur, même s'il se réclame ici de l'autorité et du savoir des EU en matière de kidnapping. En pleine nuit du 3 mai 2007, sans consulter les autorités policières, il créait un site hébergeant une batterie de photos de Madeleine sous toutes les coutures et à tous les âges à l'intention des médias. Gerald MC, un peu confus, dut déclarer qu'il n'avait pas été mis au courant. On est étonné d'apprendre que 50% des habitants du pays frère ignoraient l'existence et la disparition de l'enfant MC. Ce n'est pas ce que Gerald MC dit dans son blog. (4) On ne saurait trouver meilleur avocat. (5) Jon Corner est très mal informé. Les MC sont loin d'avoir été interrogés exhaustivement. Sait-il par exemple que Gerald était derrière Kate lors de l'unique déposition de cette dernière ? Ne peut-il comprendre que, par nature et non en raison de la pression médiatique, les policiers portugais ont conjoint tous leurs efforts dans l'espoir de retrouver une petite fille vivante ? (6) On ne peut vraiment pas lui reprocher de trouver absurde la découverte de sang de Madeleine dans le coffre d'une voiture louée trois semaines après sa disparition. (7) On se demande ce que le fait de laisser les trois enfants seuls a à voir avec le sang dans la Scénic. (8) Je suis d'accord avec Jon Corner, excepté sur sa référence obsessionnelle au ICMEC, les EU ne sont pas l'Europe, la vieille Europe. (9) Il est sûrement contraproductif d'aborder la question de la négligence, voire de l'exposition au risque, mais, non, dîner au Tapas n'était pas comme dîner au fond de son jardin. Qui a un jardin traversé par une rue, une allée et de hauts murs ? 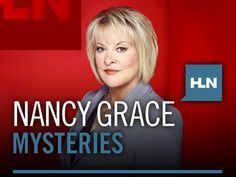 Nancy Grace : Breaking news tonight. A beautiful 3-year-old (SIC) little girl snatched during a luxury resort TOUJOURS LUXE, 4 MOIS PLUS TARD vacation while her parents party 100 yards away at a dinner party. Tonight, stunning evidence emerges. After a global campaign to find baby Maddy, millions of dollars raised for reward money, even a private meeting with the pope in Rome, in the last hours, police name Maddy`s own mother a suspect. And just minutes ago, the father also named, the police claim the baby`s blood discovered in the car rented by Maddy`s family a full 25 days after Maddy is reported kidnapped. Police hone in on Maddy`s parents, conducting nearly 20 hours of intense questioning. Is a plea deal on the table? Are police pressing Maddy`s parents to confess? Voix off (F) : Gerry McCann, the father of Madeleine McCann, is now a formal suspect in the disappearance of his daughter. That's along with his wife, Kate McCann. We heard of the news that Kate was a formal suspect in this case earlier on, on Friday. But a short time ago, her husband emerged after hours of questioning in the local police station in Portimão, and it emerged then in a statement that he, too, is now a formal suspect in the disappearance of their 4-year-old daughter, Madeleine, who went missing on the 3rd of May and has not been seen since. Voix off (F) : Portuguese police on this day formally announcing that the two parents are now suspects, formal suspects in the disappearance of their daughter. Voix off (F) : A family member says Madeleine McCann`s mom may have been offered a plea deal in return for admitting she killed her own daughter. Voix off (F) : ... tried to get Kate to confess to having accidentally killed Madeleine by offering her a deal through her lawyer, which was, If you say that you killed Madeleine by accident and then hid her and then disposed of the body, then we can guarantee you a two-year jail sentence or even less. You may get off because people feel sorry for you it was an accident. Voix off (F) : Madeleine, of course, vanished during a family vacation in Portugal. It`s been four months now since that happened. The apparent new break in the case comes after Madeleine`s blood in a car that her parents rented 25 days after the little girl was reported missing. NG : Let's go straight out to Portimão, Portugal. Joining us tonight, Paula Hancocks, CNN correspondent. As we go to air, we learn the father now joins his wife as a police suspect in the disappearance of baby Maddy. Paula, thank you for being with us. What's the latest? NG : Paula, it really is. Now, if this were any other police force, I'd be down with it. But remember, they also named Robert Murat a suspect, questioned him for hours upon hours upon hours. Remember, he lived nearby that luxury resort where baby Maddy was stolen. Now we have't heard another word about him. And now they say they found blood in the car 25 days after baby Maddy went missing ? What has led up to this twist, this bizarre twist tonight, Paula? PH : Well, (inaudible) Nancy, we're not actually hearing that much from the Portuguese police. All of this is second hand from the McCann family, spokesperson for the McCann family lawyers. They're saying that, yes, they did find these traces of blood 24 hours -- 24 days after -- this car was actually rented 24 -- 25 days after the disappearance. And this is just very confusing for everybody. People are speculating on what that could mean. The Portuguese media has certainly cooled towards the McCanns over the past couple of months, so they're speculating more than most. But even the British media, which is known for being quite rampant in taking no -- pulling no punches, that's started to also question what exactly happened that night. NG : Well, another issue -- out to Jon Leiberman with "America`s Most Wanted." Didn't police -- wasn't it leaked at some juncture that baby Maddy`s blood had been found inside that luxury condo they were renting ? Everyone, the reason this is happening in Portugal is because the parents had taken baby Maddy and her two little twin siblings on a luxury vacation there in Portugal, and baby Maddy allegedly went missing. The parents were about 100 yards away, the size of a football field, having a dinner party, leaving their three children alone back in this luxury condo. (3) Jon Leiberman, whatever happened to the theory that was leaked that baby Maddy`s blood was in that condo? Right or wrong? NG : I want to go to an esteemed expert in his field. You all know Dr. Joshua Perper, medical examiner and author. Dr. Perper, yes, it has taken police a long time to find this evidence, if the evidence is accurate. But blood on a wall or on the interior of a car doesn't just disappear in time, it can be found years later and still reveal accurate DNA results. Yes or no? Joshua Perper : Yes. Yes. You can make this kind of analysis months and sometimes years, unless the area is cleaned or wiped. NG : So back to Paula Hancocks, CNN correspondent covering the story. She's there, joining us at Portimão, Portugal. Paula, we have alleged blood from baby Maddy in the condo. Police didn't claim the parents were suspects then. It seems as if this is all turned on finding blood in that rental car. Tell me what you know about this rental car ? And how many hours have the mom and dad been under questioning by Portuguese police ? PH : Well, your second question first, Nancy -- 11 yesterday for Kate McCann, another 5 hours today. And for her husband, he`s been spending about 8 hours before he came out and had to let his lawyer admit that he is now a proper suspect, as opposed to just a witness. The fact is, this all happened about 48 hours ago, a little bit more than that, when we got some DNA results from that condo from the British laboratory. And there was something in that -- they`re not telling us what, but there must have been something in that made the Portuguese think, We want to interview both Kate and Gerry, but we don`t want to interview them together, we`ll interview them separately. And at the end of both those interviews, they then say that they are suspects. So there`s something within those DNA results. That`s the speculation here. NG : To Bill Majeski, former NYPD detective. He`s with the Safenowproject. Bill, welcome to the show. Thank you for being with us. It is not unusual at all -- in fact, it`s SOP, standard operating procedure -- to split up the parents and question them separately, is it not. Bill Majeski : Absolutely correct. You know, why give them an opportunity to say the same thing while they're in the same room together. You know, there are a couple of issues here with that car and the finding of the blood in it. There had to be a reason why the Portuguese police searched the car to begin with. It was rented 25 days after the child disappeared, so they clearly had suspicions. Now, maybe they were being surveilled. Maybe they brought something from the apartment into the car. That then caused the Portuguese police to start searching the car, and they did find some kind of trace evidence of blood in the car, probably from something that was brought out of the apartment. What that is, we don`t know. But we also know that when Portuguese police name someone as a suspect, they then tell the suspect the evidence that they have against them. So clearly, you know, both parents here, they can come forward and say, OK, we're being accused because, and give the evidence that the Portuguese police should be telling them that they have against them. The police, on the other hand, are keeping things close to the vest, as they should. NG : I want to go out to the lawyers. Let's unleash them. Joining us, Susan Moss out of New York, Daniel Horowitz, defense attorney out of San Francisco, Renee Rockwell, defense attorney out of Atlanta. Here's the kicker, Daniel Horowitz. Being named a suspect in Portugal is not the same thing as being named a suspect here in the U.S. Explain. NG : And that brings up an interesting point. And I want to go to a guest before I go to the other lawyers, Susan and Renee. Joining us now is Philomena "Phil" McCann. This is Madeleine McCann's aunt. Philomena, thank you for being with us. Maddy went missing on May the 3rd, and today, almost five months later, they -- police find that they have found blood evidence. Why five months later ? Do you find that unusual, Philomena ? Philomena McCann : Well, I find it incredible, actually. They're not actually saying it's blood, they're saying it's bloody fluid. NG : Oh, inside the car? NG : Bodily fluids inside the car. Philomena, do you believe that it's true that police are trying to get a plea deal out of baby Maddy's mother in exchange for a confession of some sort ? NG : And what is her response? NG : Ms. McCann is with us. This is Maddy McCann`s aunt. She's joining us by phone from Scotland. Philomena, she must have been shocked when police named her as a suspect. PMC : Well, in some ways, she was, but she knew in advance before she went because they were informed on Monday night in the house. The police had sent someone out to speak to them to advise them of this and to make them aware of their rights, that their change in status would allow them to have legal representation and that they could now refuse to answer questions in case they would incriminate themselves. NG : Yes. With us is baby Maddy's aunt, Philomena McCann. Do they have lawyers with them, Philomena? PMC : They have a lawyer. They have a Portuguese lawyer with them. NG : Are they answering the questions ? I understand Portuguese police told them they had 22 questions that they wanted to ask them. I don't know, 11 is a long time for 22 questions. But are they answering the questions ? NG : I want to go out to Pat Brown, criminal profiler. Pat, weigh in. Pat Brown : Well, obviously, there's something there. I mean, this -- all the things the police are doing now, admittedly, they should have done right up front. They should have separated the parents in the beginning, along with their friends, got the different stories, got their alibis, got their timeline to make sure that there was nothing strange or that there wasn't time for them to do something and move Madeleine's body by putting her in the boot of the car and then later on taking her someplace. They should have done that right then. But they maybe didn't because they didn't suspect them. I can't blame them for doing it now, if they've found evidence. And if they have found evidence in that rental car, that's a hard thing to explain away. And I believe that they only went there because they got some other information that was very concerning, as well. NG : Pat Brown, what do you believe the police theory is ? BROWN: Well, my guess is they believe something happened earlier that evening, before they met and -- something tragic. Either the child was overdosed with some kind of medication because they wanted the children to sleep so they could go party. And then maybe they put the child in the boot of the car while they went and played sort of, Hi, hey, we're here and everything's OK, and then they went back to check and -- the police wouldn't even look in the boot of their car if they're looking for a stranger abduction. So then later on, at some point in time when they're not being watched, the child could be moved. Dad could say, Hey, I got to go search for my child. He could jump in the car, take off for hours and no one would pay attention to that, come back, and then they move on. I think that might be the theory. I don't know that, but that's what I`m guessing. NG : Out to the lines. Dana in Illinois. Hi, Dana. Dana : Hi, Nancy. Thanks for taking my call. Dana : I am just wondering, if -- this is very premature, but if they are taken to trial and found guilty, can they be -- the parents be held accountable for all of the money that has been spent on the search ? NG : I would say definitely so, but let's go to Larry Sutton, editor at "People" magazine. Larry, they have raised tons of money and reward money, haven't they? NG : Larry, were you surprised when you heard the mom and now the dad named as suspects? LS : Well, I was surprised when I heard the mom, but I figured the dad was going to come 15 minutes after that because you can't have one without the other. Yes, it is suspicious. It is surprising. But you know, there were no other suspects. And look at the -- who the police interviewed when the case first started back in May, and they went through everyone. And these were possibly the last people left they could talk to. So not all that surprising, in that sense. NG : And to the lawyers again, Sue Moss (family law), Daniel Horowitz, Renee Rockwell. To you, Sue Moss. The reality is, although the parents were very convincing in their grief after she went missing, the reality, the harsh reality of trial work, criminal law work, is those closest to the victim are the first suspects. And typically, statistically, they are responsible. So this shouldn't be a surprise that the parents are being looked at, Susan. NG : But if there are trace amounts of Maddy in that car 25 days later, that's incredibly damning ! LS : Unless it came from some other item from the apartment. NG : That is Maddy`s aunt, Philomena McCann, who is joining us tonight. As you know by now, breaking news in the baby Maddy search, both mother and father named suspects in the baby girl`s disappearance. Out to the lines. Theresa in Florida. Hi, Theresa. I think I`ve got Theresa. Are you with me? NG : Hi, dear. What's your question? NG : Thank you! Thank you so much! NG : And they have been dancing and doing taebo all night long. I'd just like you to know that. OK. Go ahead, dear. Theresa : OK. I wanted to say is, how do they know that this blood was not in that car before they rented that car? And you know, to me it's like speculation. It reminds me of the Holloway case. NG : OK, let's go out to Paula Hancocks. How could DNA, fluid from baby Maddy, get into the car, when the car wasn't rented until 25 days after Maddy went missing, Paula? Voix off (M) : Now to Portugal and new developments in the disappearance of little Madeleine McCann, the British girl who vanished in May in Portugal. A family spokeswoman said her mother, Kate McCann, is now a suspect, though she's not been charged. Police say traces of the child's blood were found in the car the family rented 25 days after her disappearance. Portuguese authorities have not made any public statements yet on these new developments in Portugal. NG : Breaking news tonight as we go to air, not only the mother but the father, as well, named as a suspect by Portuguese police, baby Maddy taken on a luxury vacation to Portugal by her parents, never seen again. Out to Paula Hancocks, CNN correspondent, joining us from Portugal. Will there be more questioning of the mother and father ? They've already logged about 20 hours of intense questioning by Portuguese police. PH : Absolutely, Nancy, yes, there will definitely be more questioning. We don't know the timing of it, though, but certainly, we`re going to be seeing McCanns back here at this police station in this small town in southern Portugal. What they'll be asked is anybody's guess, but the fact is, now they are suspects, they do have the right to remain silent. Voix off (F) : Kate McCann was questioned yesterday in Portimão. She was speaking to police officers there for some 11 hours. She emerged from that looking tired and drawn. She returned for further questioning today, Friday. And she had more questioning later on in the day. Her husband, Gerry, was called in to speak to authorities. At that point, as we understood it, according to a family spokeswoman, he was going in just to be questioned as a witness. But a short time ago, it emerged that now both Kate and Gerry are both formal suspects in the disappearance of their daughter. NG : Breaking news tonight in the global search for a little girl snatched at a luxury resort during a vacation in Portugal. Out to the lines, Jolene in Florida. Hi, Jolene. Jolene : Hi, Nancy, I love your show. NG : Thank you for watching, dear. NG : Jolene, when I was prosecuting, I always tried to get the judge to run sentence consecutively, because we all know people will parole out, and about half do, 70 percent of their jail time sentence. Out to Renee Rockwell, a veteran criminal defense attorney. If these allegations turn out to be true -- and you've got to keep in mind that these are the Portugal police that have bungled the case so far. Look, I'll put it out there: They've bungled it so far. If these allegations are true, shouldn't the parents be held responsible for going on television, and crying, and acting like they had no knowledge of what was happening, raising all those millions of dollars of reward money ? Renee Rockwell : Well, Nancy, but these are not people -- sure, they can be held responsible for wasting time and all that. But these are not people that are acting like suspects. RR : They have lawyers. They continue to answer questions, even though they're lawyered up. They're there. They could have left this country months ago, Nancy, but they're still there. It looks like there's just a police department that's trying to close a case, so they're going to point at the parents now. I don't buy it, and I'm behind these parents 100 percent. NG : To Lillian Glass, Dr. Lillian Glass, psychologist and author, I've had a lot of cases where police looked at multiple suspects trying to solve a case before they finally cracked it. And you can't hold, for instance, that Robert Murat guy -- again, police, remember they questioned the neighbor because he was acting suspiciously to them ? They questioned, questioned, questioned, named him a suspect, and ultimately did not arrest him. You cannot hold it against police that they investigate more than one person before they crack a case. Lillian Glass : No, absolutely. You're so right. And when you look at these people, either way, psychologically, your heart goes out to them, because if it was an accident, the mother is devastated. And just what she's going through right now, so from a human level, you can really feel what the parents must be going through. NG : Back to Philomena "Phil" McCann. This is Baby Maddy's aunt. Ms. McCann, thank you for being with us. Have either parent agreed to take a polygraph ? NG : You know, I want to go to Larry Sutton, editor with "People" magazine. I threw it out there that they have botched the case; that doesn't mean they can't recover. That doesn't mean they can't call a Hail Mary and save the day. But what do you perceive, Larry -- you've been covering this from the get-go -- as failures in their investigation ? LS : They did not treat this as a monstrous case from day one, and they should have, yes. NG : But, Larry, what do you make of this most recent development naming the mom, then the dad as suspects ? Remember, in Portugal, where this vacation took place, suspect doesn't -- or aguido and aguida -- does not mean the same thing as in the U.S.
LS : Actually, it's beneficial towards the people who are named as suspects, because from this point on, the police have to tell them every bit of evidence that they collect against them. So it helps them prepare for a trial should charges eventually be filed. NG : You know, Jon Leiberman, with "America`s Most Wanted," remember, of course, with John Walsh and his wife when their son went missing, with Marc Klaas when his daughter, Polly, went missing. The first thing they did, they said, "Search my house, search my car, search me. I'll give you polygraph, I'll give you DNA, whatever you want. Would you advise the parents, Jon, at this juncture to go full steam ahead, give a polygraph, whatever they want so the police can continue looking for the killer ? NG : Well, that doesn't mean anything, for a mother to have their child's DNA on her? JL : No, it`s the flimsiest evidence I`ve ever heard. NG : But the car, the car, Jon Leiberman, if this evidence about baby Maddy's DNA being in the car, a car rented 25 days after Maddy went missing, that's some hard evidence. NG : Out to the lines, Dale in Ohio. Hi, Dale. NG : What`s your question, dear? Dale : My question is, after all this time, they're a little slow over there, aren't they, that the evidence that they found now would be contaminated? NG : You know, that's an interesting point. To Dr. Joshua Perper, in my analysis, after looking at many, many DNA cases, time would only possibly degrade or contaminate DNA. And if they get a positive match of baby Maddy's DNA in this car after all this time, I find that to be very strong, if it's true, Dr. Perper. JP : Well, that`s true. But it`s also very important toward the configuration, what is the pattern of the blood spots ? Are they indicative of dripping blood ? Are they indicative of somebody shaking someone who has a bloody area ? So we really don't know what kind of pattern this blood had, what it was inside the car. If the amount is minuscule, it might be from a doll or from something else which was brought to the car. Those are essential questions. NG : Dr. Perper, you are so correct. When analyzing blood evidence, you have to look at the type of blood evidence. For instance, was it a drip from a nosebleed ? Was it a splash from a skinned knee of baby Maddy ? Or was it a blood spatter that occurs from a hit with a blunt object or a shooting ? So the type -- or smear. A smear of blood can be very incriminating, Dr. Perper. NG : So in this case, we don't know what type of blood evidence we have. We don't even know if it is sufficient blood evidence, Dr. Perper. JP : That's correct. That`s absolutely correct. We don't know exactly what kind of evidence is available to the police. And, therefore, we don't know whether they have legitimate conclusion which can be drawn. NG : To Terry in Washington. Hi, Terry. Terry : This is Virginia actually, but that`s OK.
NG : Terry, very interesting that in a majority of cases of parents killing children or abusing children, they very often pick on one. So it isn't always a whole wipeout of the family. And very quickly, Susan in Pennsylvania, what's your question, dear ? Susan : Yes, Nancy. Since this was a rental car, shouldn't the Portuguese police be checking the rental records of that car the night that Maddy disappeared ? Isn't it possible whoever had that car rented that night was somehow involved ? NG : Interesting question. I don't know when they first got the car. As a matter of fact, we're investigating that right now, Susan. (1) Selon Kate MC, Madeleine détestait qu'on racourcisse son nom. Quant à la traiter de bébé à 4 ans, no comment. (2) Il est surtout étonnant de constater à quel point les médias traquent le spectaculaire partout où il se trouve, ou ne se trouve pas. (3) Nancy Grace est partie du principe que le complexe Ocean Club était luxueux et n'en démordra jamais. (4) Quel risque prend un journaliste américain lorsqu'il se gausse de la police d'un petit pays d'Europe ? Rien. Comment et pourquoi la PJ a-t-elle "cafouillé" dès le départ ? Comment pouvait-on trouver du sang sous le pavage sans l'aide de la chienne CSI ? Pourquoi ignore-t-il l'enquête de voisinnage de la PJ ? Tout ce que dit JL semble venir d'un tabloïd. Il ne voit pas que la surmédiatisation de l'affaire est en cause, car aucune charge n'a été retenue contre les MC, ils sont simplement témoins assistés. (5) En résumé, tout ce qui n'est pas états-unien est mauvais et comme tel à mettre dans le même sac. Ce qui vaut pour l'un vaut pour tous les autres ! (6) S'il y avait un doute encore sur l'origine de la rumeur "plea bargain", le voilà dissipé. (7) Il est irresistible ici de songer à l'esprit de clan. (8) Cette "bonne nouvelle" malheureusement est totalement fausse. Madeleine's Fund n'est pas un organisme caritatif, les fonds ne vont qu'aux MC, du moins jusqu'à ce que Madeleine soit retrouvée. (10) La seule chose vraie, ici, est la compassion. Mais peut-on en vouloir à PMC de répandre une rumeur, alors qu'elle est manifestement convaincue d'être un redresseur de torts ? (11) Il est dit clairement, ici, que toutes les informations proviennent de la porte-parole/chargée de communication des MC, Justine McGuinness. Au mépris du respect du secret de l'instruction. Quant aux informations divulguées, ce seront des fuites de la PJ. (12) Cette question est intéressante, comme celle posée plus haut à propos de Madeleine's Fund. Hélas, NG n'a pas d'invité qui puisse répondre. (13) Sinon tout du moins presque tout est là. (14) Quand on ignore, mais qu'on veut avoir l'air de savoir, on peut toujours risquer le n'importe quoi. En fait d'ignorance, Nancy Grace sait-elle à quelle heure a été alertée la police pour une disparition que, d'emblée, les parents ont qualifiée d'enlèvement ? Et sait-elle qui a alerté la police alors que les parents avaient chacun un téléphone cellulaire avec batterie chargée. (15) Contre-vérités semées par "un membre de la famille" dans l'espoir de faire diversion ? (16) Il a précisément fait ostensiblement, et comment !, tout ce qu'aurait fait un père innocent ayant les mêmes moyens. Conclusion : il est innocent. Si vous voulez duper le monde, ne prenez pas un air sournois, affichez un sourire de bienveillance et toutes les portes vous seront ouvertes. Et quand on découvrira votre forfait, les gens diront "un garçon si gentil, toujours un sourire, toujours serviable, c'est incroyable ! ".